[to join in conflict], esp. ‘manum (or manus) conserere’, [to engage]. Hence, from partic., adv. conserte, [connect- edly]. Synopsis: Mixed use project functions as a threshold to Capitol City Market welcoming, intriguing the passersby to explore the site. Visual rotational movement pivots about the site seamlessly connecting key locations of two distinctly different but adjacent places. Consero to convey the intentions of the design which was to connect two distinctly different places with a unique poetic method. I came up with a system of precedent modular sizing to organize the layout of space with the orientation poised with the longest glazed façade south facing. 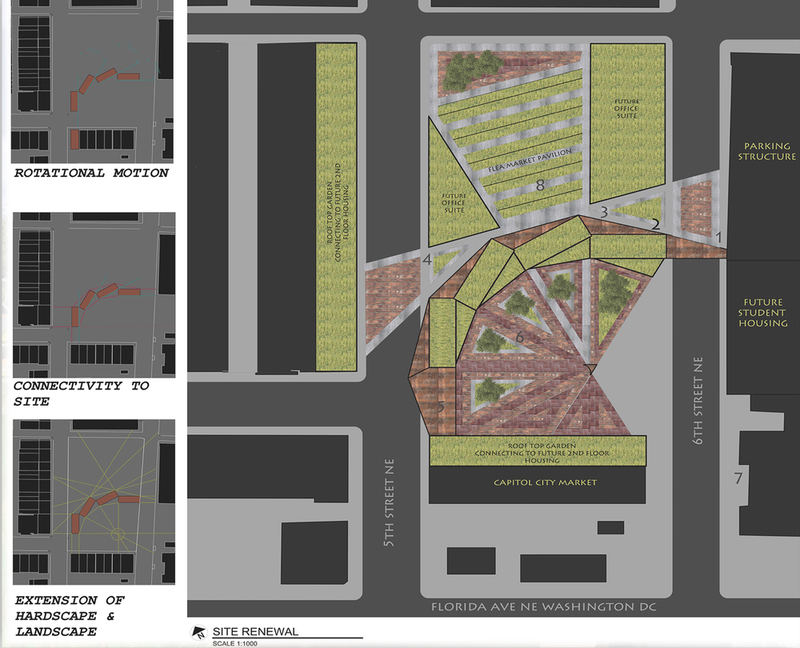 The hardscape responded to the surrounding edges to visually connect the two places: Gallaudet University and Capitol City Market while the landscape continued to the roof tops and extended to the Gallaudet campus. 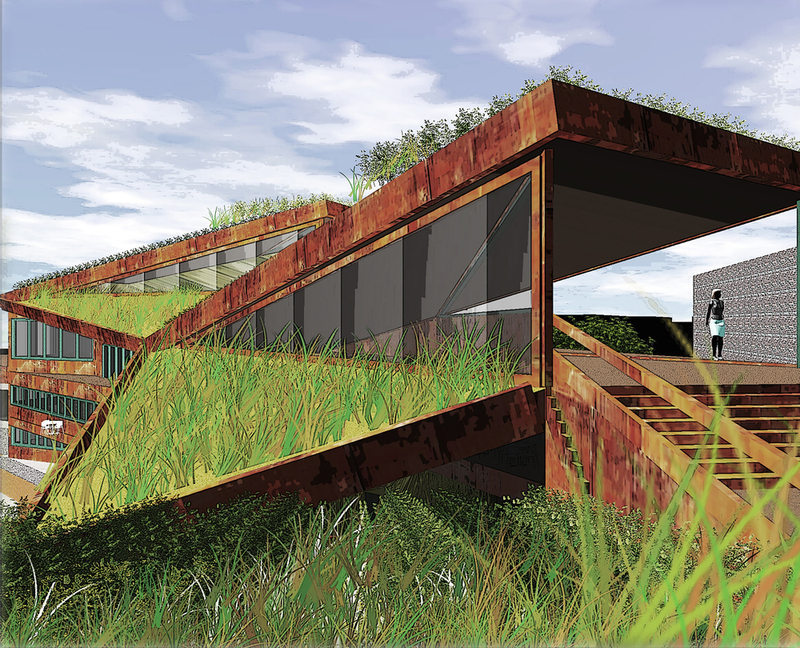 The design responded to the site and integrated programmatic requirements while constructing a inimitable architectural experience. Capitol City market is full of rich culture, history, diversity, and an international market. The current space feels “sketchy” with un-kept alleys and walkways, no pedestrian walks or landscape, metal fencing, vehicles, and vacancy. With a goal to Renew/Revitalize the market, to create a comfortable safe environment while promoting interaction between Gallaudet University and local community. Triadic color scheme coordinate with existing : rust (red orange), lemongrass(yellow green), blue green turquoise doors.